Visibility levels at Cohutta, GA. The above quote comes from page seventy-four of a report titled The State of Georgia’s Environment 2009. 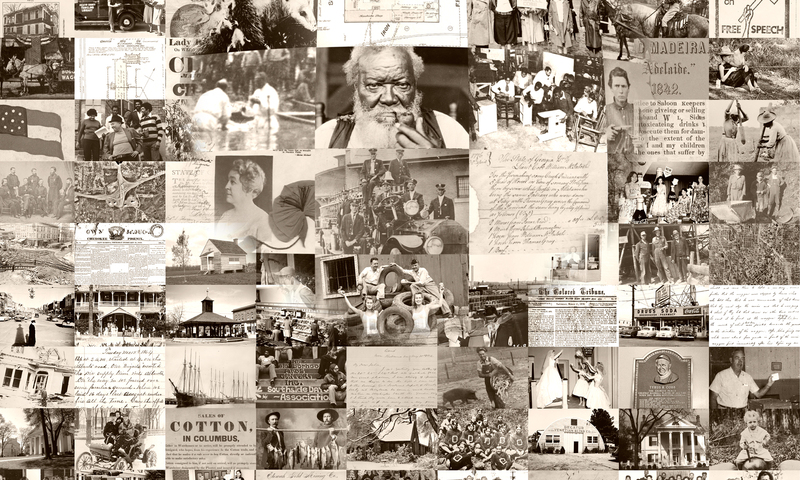 It is accompanied on that same page by the image you see here. The left half of this image represents a baseline visibility from the combined years of 2000 to 2004. 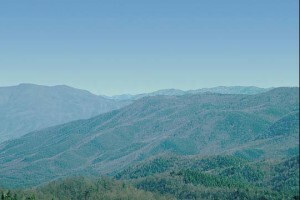 The right half of this image represents the projected visibility in 2016 of the same scene (presuming the beneficial effects of state and federal efforts to reduce pollution). 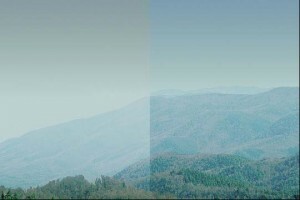 These images were created by a computer simulation of air pollution levels and included in the report of the Environmental Protection Division of the Georgia Department of Natural Resources. The Georgia Government Publications (GGP) site provides users access to a staggering amount of current information about the Peach State, information that will be findable long after it has disappeared from a government web page. I was actually searching the GGP for documents related to “oil” when I came across this series of environmental reports. It felt serendipitous, and a bit startling as the images reminded me that there are people literally “looking out” for us. Even a quick scan of the report left me feeling smarter about the state in which I live. Think what an hour with this information could do for you? Visibility level at Cohutta, GA.
I’ll leave you with a final image: the same scene as projected in 2064 (distant, but hopeful).